Fixed income trading platform Thomson TradeWeb says its Asia-based customers can now access the platform during Asian trading hours. "TradeWeb has long been synonymous with access to US Treasury bond liquidity and we are very pleased to be offering access to this dealer liquidity in Asian hours," says Lee Olesky, president, Thomson TradeWeb. "The widening of the trading hours on TradeWeb is an important benefit to our customers who have a presence in Asia, and is a major step in unifying electronic trading in the bond markets on a global scale. Expanding TradeWeb's offering to our customers in Asia is a further demonstration of our commitment to providing access to liquidity in the world's bond and derivative markets. We look forward to making further product introductions very soon," adds Olesky. Fixed income trading platform Thomson TradeWeb says its Asia-based customers can now access the platform during Asian trading hours. “TradeWeb has long been synonymous with access to US Treasury bond liquidity and we are very pleased to be offering access to this dealer liquidity in Asian hours,” says Lee Olesky, president, Thomson TradeWeb. “The widening of the trading hours on TradeWeb is an important benefit to our customers who have a presence in Asia, and is a major step in unifying electronic trading in the bond markets on a global scale. Expanding TradeWeb’s offering to our customers in Asia is a further demonstration of our commitment to providing access to liquidity in the world’s bond and derivative markets. We look forward to making further product introductions very soon,” adds Olesky. US Treasuries is the first market on TradeWeb available throughout the entire global trading day, with further expansion including European Government Bonds to be made available shortly. “We continue to explore ways to support our clients who are looking for better execution and operational efficiency,” says Masaru Kunitsugu, co-head of rates trading, JPMorgan Securities in Japan. 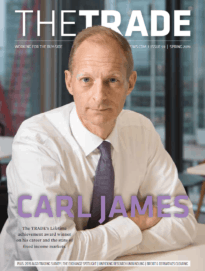 “TradeWeb’s availability in Asia provides a means for our institutional clients to continue to access the liquidity we already provide during Asian hours, in addition to providing them with a seamless channel across all time zones,” he continues. Thomson TradeWeb says additional products will follow in response to dealer and buy-side customer demand. Users around the world currently trade a total of fourteen different markets on TradeWeb with an average daily trading volume in excess of $200 billion. Asia-based customers, notably fund managers and central banks, have been able to use TradeWeb during North American and European hours since 2005. 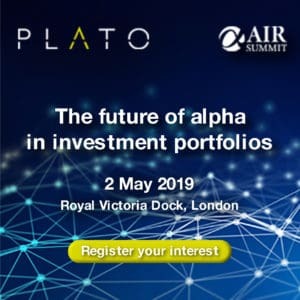 During Asian trading hours, the platform will be initially supported by eleven leading dealers: Bank of America Securities; Bear Stearns; Citigroup; Deutsche Bank; RBS Greenwich Capital; HSBC; JPMorgan; Lehman Brothers; Merrill Lynch; Morgan Stanley and UBS Investment Bank. A completely new data centre in Tokyo has been built in preparation for the launch of US Treasury trading and the distribution of market data during Asian trading hours. TradeWeb also has Asian offices in Hong Kong and Singapore.